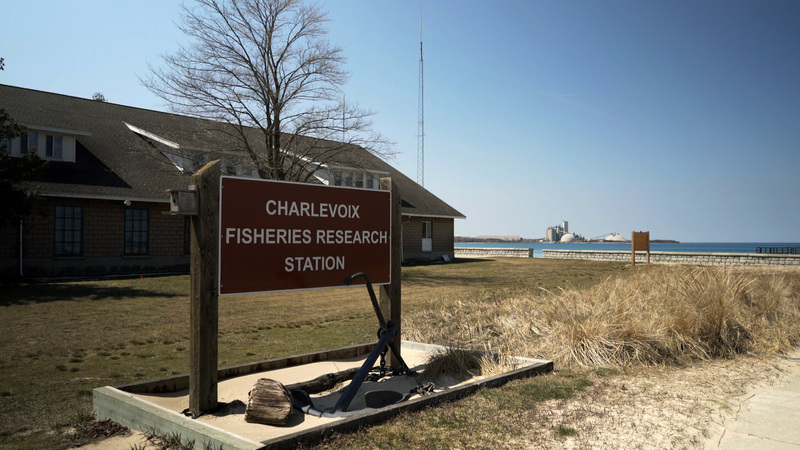 There have been dramatic changes in the fisheries and overall ecology of Lake Michigan over the last few decades and Dave Clapp has had a front row seat. 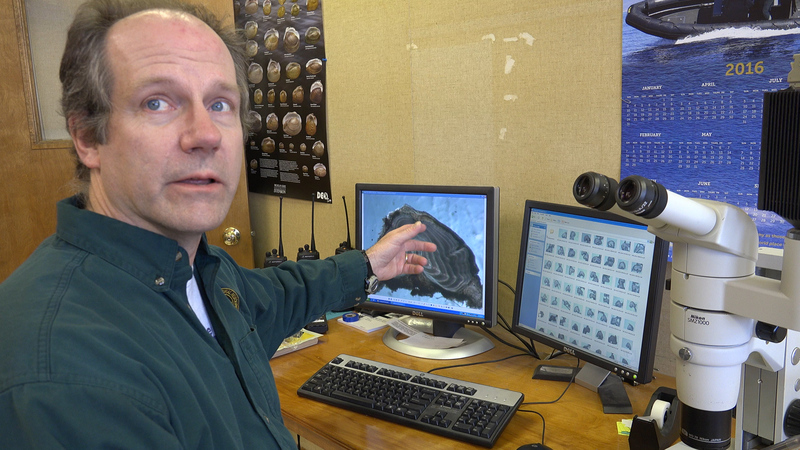 A trained fisheries biologist, Dave has been working at DNR’s Charlevoix Fisheries Research Station for 20 years. As a man who enjoys the outdoors and shares his love of fishing with his young sons, Dave cares a lot about the lakes and streams of Michigan. Today, Dave manages the Station and a crew of about 20 biologists, technicians, boatmen and support staff. The crew operates a large research vessel, the S/V Steelhead, as well a number of smaller boats to perform lake-wide assessments, short-term studies and cooperative research on the fisheries and ecological health of Lake Michigan. We asked Dave to discuss how Lake Michigan and the fisheries have changed in his time at the Station. With a sigh, he noted that about 200 invasive species of plants, insects, fish and other animals have invaded Lake Michigan and, undoubtedly, more are coming. Dave began working at the Station around the time zebra and quagga mussels and round gobies began to proliferate in Lake Michigan. They’ve had huge impacts on the ecosystem. In addition to invasive plants and animals, the warming of our region’s climate is increasing and complexing ecological changes in Lake Michigan. The most obvious impacts of climate change on Lake Michigan are increasing water temperatures and a reduction in ice cover during winter months. Resulting ecosystem responses observed by researchers include changes in fish growth rates and spawning times. Recent research completed by the Yellow Perch Task Group has documented a very significant change in spawning time in association with the warming of the Lake. The potential mismatch with food resources is a significant concern. Hatching out early, can mean that the fry and juvenile yellow perch may not find sufficient food to grow and compete. Research on this topic continues. Similarly, the lack of lake ice, means there is less cover to protect the eggs of whitefish and other nearshore, fall-spawning fish. Increased mortality of eggs can be expected, but it will be years before we will know the complete impact of this change and others on Lake Michigan fisheries.